School’s out and summer is here which means the Terrmian Waterpark is reopening! Get ready for some fun as we have great content for you to explore. This year we unveil the Mysteries of Summer event! Follow the clues to discover new and hidden treasures. The event starts 6/28/18 9:00 UTC. In addition we’re adding a way for people to show off their PEN enhanced items! Read on for the full patch notes. ◈ Mysteries of Summer event is on! • The great challenge begins worldwide June 28th, 09:00 UTC! ◈ Loyal Attendance Rewards will be refreshed. • Back from last year, Terrmian Waterpak reopens this time with additions to make the fun-filled waterpark more splashy and exuberant! 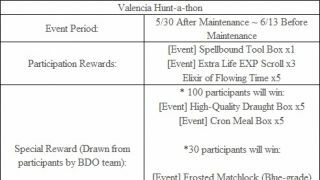 • Please enjoy Event Quests and Minigames at the Terrmian Waterpark and have a chance to win rewards. • During the event period, the Foot of Terrmian Mountain will be changed to a Safe Zone. ◈ Check out 2018 Terrmian Waterpark < Here >! ◈ Take the Leap and Awaken Lahn! Event has ended. 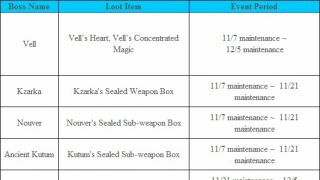 • You can no longer obtain [Event] Lahn’s Seals in-game. 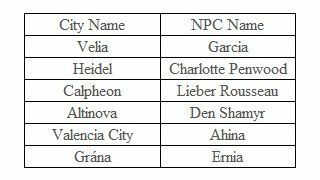 However, you can still exchange the [Event] Lahn Seals you have collected even after the event period ends with Skill Instructor NPCs of each city. ◈ PEN(V) gear/accessory Engraving has now been added! 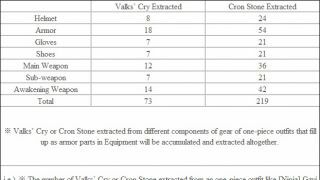 • If you succeed in Enhancement of gear or accessories to PEN(V) level, your Family Name will be engraved onto the enhanced gear/accessory. • Gear/accessory enhanced to PEN(V) before the update on 6/27/2018 will not be affected. • The engraved gear/accessory will not display the Family Name of the maker when listed on the Marketplace. 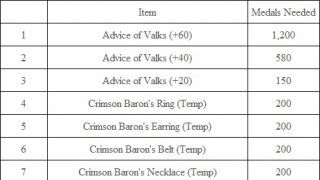 However, the Family Name of the maker of the engraved gear/accessory will be shown upon purchase in your Inventory (I). 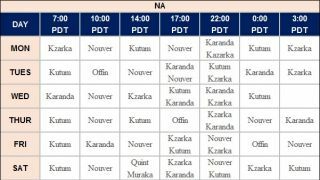 ◈ New awakening weapon, Katan Awakening Weapon has been added. 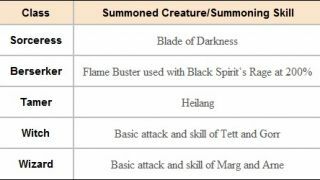 -Katan Awakening Weapon can be obtained from the Black Spirit by completing the quest Black Spirit's Gift IV (Katan Awakening Weapon) which you accept from the Black Spirit after completing the quest Bashims' Answer. -Katan Awakening Weapon cannot be Enhanced, but the gear itself shows great performance. ◈ A new function that will allow you to reconnect to the last server connected when you log in during a World Boss spawn time has been added. 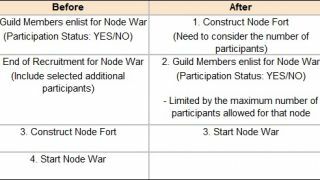 ◈ It has been edited that if the character gets stuck inside a fort during Node/Conquest War, the character would be auto-teleported to a nearby town. ◈ It has been changed that guilds cannot be disbanded if the guild was still participating in a Guild House Auction or has not collected the failed bid amount of guild funds in the auction. 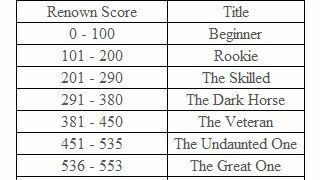 ◈ Fixed the issue where Tax was not being distributed properly to the winning Guild when the Tax of the relevant territory exceeded a certain amount. ◈ Fixed the issue where daily limit would prevent Guild Crafting retry even though the limit had not been met. ◈ ’Complete Now’ function has been removed from Guild Crafting as there were critical issues found during internal testing. ◈ Fixed the issue where unrelated message would be displayed intermittently when fighting monsters with Pets taken out. ◈ Fixed the issue where pressing ‘Enter’ to access a server from the Server Selection screen would close the client intermittently. ◈ Default setting of music volume has been changed from the previous 62% to 100%. Please go to Settings (ESC) -	> Audio Settings -	> Volume to adjust your audio at any time. ◈ Fixed the issue where pressing ‘End’ button without applying a new customization done though customizing via Beauty (F4) window would crash the client. ◈ Objects nearby main roads have been optimized. ◈ Some of the unnatural graphical issues of the shadows have been improved for visual clarity. ◈ The effect shown with hair of characters of other adventurers and translucent outfits has been optimized. 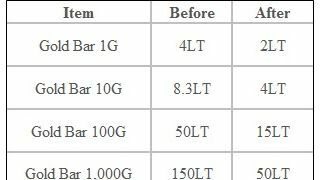 • Some of PCs with low- to med- specifications can expect improvement in frame rates. ◈ As announced last week, Accuracy effects have been revised to be implemented properly. • We once again apologize to all of our adventurers who have experienced difficulty, particularly for the Witch and Wizard. We will endeavor to show faster response to all of your concerns and reports. ◈ Fixed the issue where being inflicted with CC skill effect during awakening weapon combat mode would intermittently force-switch the character to pre-awakening weapon combat mode. ◈ Fixed the issue where unnecessary skill effects would appear to be overlapped for other adventurers. ◈ It has been edited that [Combat] Trina Demolition Axe and gun-type items as Main Weapons will be equippable only in non-combat mode. • However, it will be possible to switch to another equipment if you have already equipped the [Combat] Trina Demolition Axe, Matchlock, Axe, and gun-type items. ◈ Incorrect descriptions in the following skill tooltips have been fixed. -Please keep in mind this is a skill tooltip change and not the skill effects. • 10% of Max HP extra damage (Damage reduced in PvP) (Effect reduced during cooldown). ◈ Fixed the instance where CC skill effect was not applied during the cooldown for Flow: Sharp Feather II after having learned Penetrating Wind III. ◈ The CC skill effect for Flow: Kiss of the Wind will now only be applied on the first hit. ◈ Fixed the issue where Down Smash effect would not be applied when the skill Flow: Kiss of the Wind was used during PvP. ◈ Fixed the issue where damage would not be reduced when the skill Flow: Kiss of the Wind was used during cooldown. ◈ The attack motion for the additional hits has been made more natural for the skills Crescent Kick III, Crescent Kick IV, and Crescent Kick V.
◈ CC skill effect of the skill Crescent Kick III will now be applied only on the first hit. ◈ Fixed the awkward character movement when using the skill Cartian's Protection with less than 10 left on the guard gauge. ◈ Fixed the issue where the speed of the gauge being filled up for the Charging of Flame Buster skills did not match the actual movement of the character. ◈ Fixed the awkward camera view when selecting the Berserker in Character Selection screen. ◈ It has been edited that Knockdown effect will no longer be applied when using the skill Flame Buster through a Quick Slot. 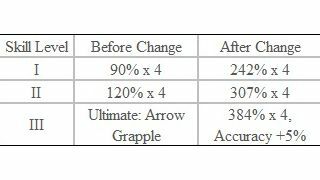 ◈ Damage of the skill Flow: Shooting Mobility has been fixed as 1468% x 2, and Stiffness effect has been added during PvP. ◈ Texts regarding Critical Hit Rate, Air Attack, Down Attack, Air Smash, Down Smash, and Damage Reduction during PvP have been added to tooltip of the skill Flow: Shooting Mobility. ◈ Fixed the awkward part of the attack motion upon using the skill Tree Climb. ◈ Fixed the graphical glitch in the back part of the [Witch] Queen Heart Underwear. ◈ CC skill effect of the skill Musa's Spirit will now be applied only on the first hit. 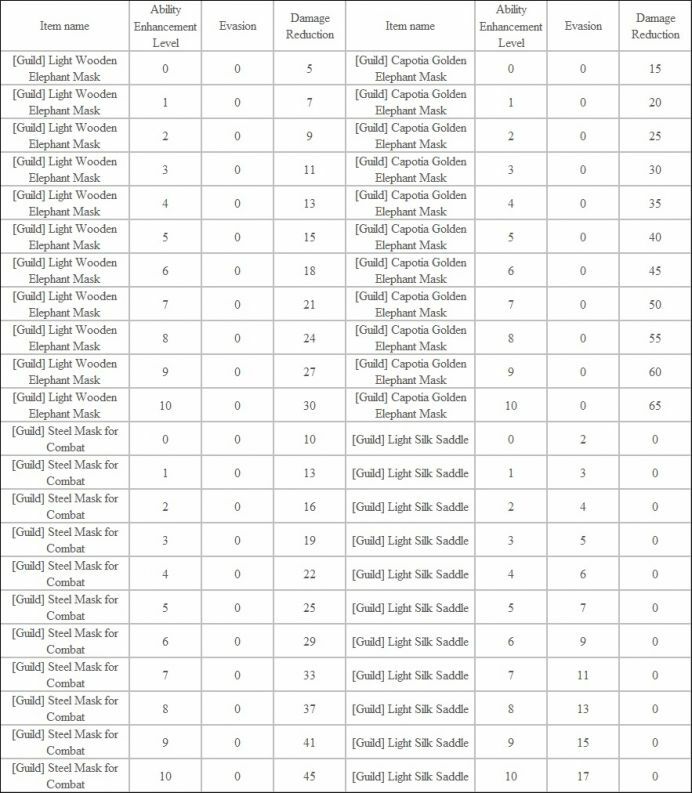 ◈ Forward Guard effect of the skill Crust Crusher will be maintained only up to before the attack and Knockdown effect will now be applied in PvP. ◈ Resource consumption for the skill Fiery Angel has been changed to Stamina: 150 and WP: 35. ◈ Pressing ‘Q’ key once more or holding the key will activate extra hit after using the skill Counter Assassination and related text has been added to the skill tooltip. ◈ Stun effect will now be applied in PvP for the skill Counter Assassination. ◈ Flow: Dash Slash will now be activated faster. ◈ Cooldown of the skill Flow: Dash Slash has been decreased from 14 sec. to 8 sec. 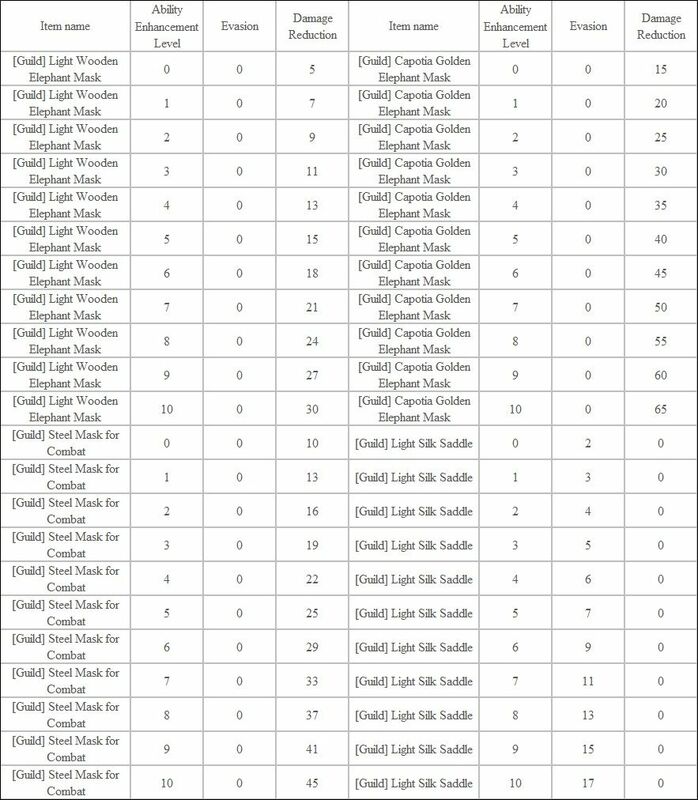 ◈ It has been edited that only the damage will be applied upon using the skill Counter Assassination while stepping backwards. (Cooldown, resource consumption, CC skill effects will not be applied). 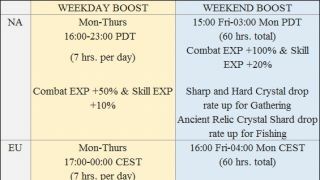 ◈ Resource consumption for all levels of the skill Blind Slash has been changed to Stamina: 100. ◈ Resource consumption for the skill Flow: Foul Play has been changed to Stamina: 250 and WP: 50. ◈ WP consumption has been reduced for the skills Below the Belt I & II. ◈ Fixed the issue where CC skill effect would not be applied upon a good hit of the skill Quick Shot from a far distance. ◈ Pressing ‘Shift + Q key’ will instantly activate Chaos: Red Moon now in Kerispear mode. 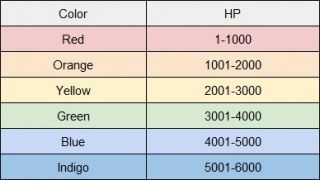 ◈ It has been edited that the skill Sleet Steps could be used while using the skill Chaos: Red Moon. ◈ The motion of switching to Kerispear has been made slightly faster when switching after using the skill Chaos: Red Moon. ◈ ’Can be used with Blade’ has been added to the tooltip of the skill Sleet Steps. ◈ Stamina required has been reduced to 150 and Stun effect will now be applied in PvP as well for the skill Royal Rage. ◈ Cooldown has been increased from 4 sec. to 6 sec. for the skill Royal Rage. 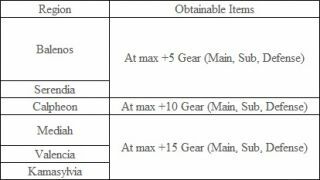 ◈ Resource consumption for the skill Stigma has been changed to Stamina: 150 and WP: 50. ◈ Super Armor effect while moving backwards has been added to the skill Stigma. 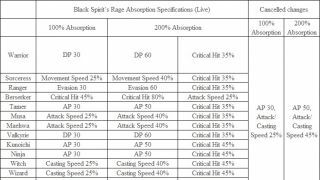 ◈ Moving speed reduction effect upon good hit has been added to the skill Petal Drill. ◈ Cooldown has been decreased from 25 sec. to 16 sec. for the skill Flow: Cloud Stab. ◈ Fixed the issue where CC skill effect would be applied when the skill Unveiled Dagger was used during Cooldown after using the skill Dusk. ◈ It has been edited that Echo Spirit will not appear when the skill Ultimate Crush was used during cooldown. -The event items will disappear at the end of the event period. 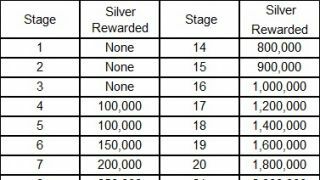 ◈ New items given as rewards for completing event quests have been added. ◈ It has been changed that when exchanging loots with a Sub-weapon Box from Ronatz, it will only be possible to exchange one item at a time. ◈ Text ‘Please note that after Lv. 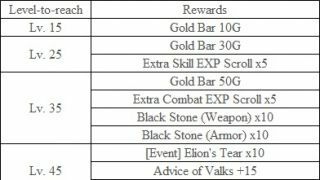 62, you will get significantly less Combat EXP from exchanging this stone’ has been added to the item tooltip of Marni’s Stones. ◈ The text ‘※ Samples can only be collected if you make the last hit’ has been added to the item tooltip of Marni's Stone (Gahaz Bandits) and Marni's Stone (Gahaz Bandits) ll. 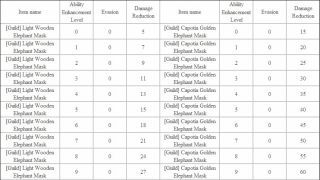 ◈ Elephant defense gear will now give DP, not HP, increase. ◈ Fixed the issue where Refugee Camp Jar in Abandoned Land of Calpheon could not be aimed. ◈ CC skill effect has been removed from Voraro the summoned creature of Narc Brishka that spawns from Manshaum Narc’s Stone except for its continuous jumping attacks. ◈ Tutuka that appears to be stuck in an area of Hystria Ruins has been relocated. 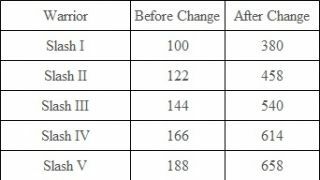 ◈ HP of World Boss Vell has decreased by -33%. ◈ 1 new event quest has been added to Terrmian Waterpark. • [Event] Throw Your Stresses Away! ◈ It will now be possible to check Completion Target for Trade-related Guild Missions on the Guild (G) window. ◈ Fixed the issue where a conquered node would not be displayed in Guild Information window. ◈ Fixed the issue in Server Selection screen where main server could not be saved or connected properly at times. ◈ Fixed the issue where the Campsite UI would not appear instantly after purchased of the Naphart Campsite. ◈ Fixed the issue where the Hunter’s Seals could not be exchanged properly. 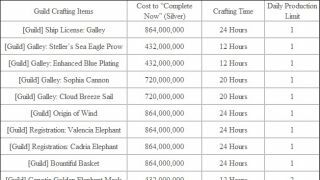 ◈ Fixed the issue where the materials for crafting [Guild] Capotia Golden Elephant Mask would show up as the materials for crafting [Guild] Galley: Cloud Breeze Sail. ◈ Fixed the issue where client would crash intermittently when changing in-game options. ◈ Fixed the issue where the button without an icon could be selected in Standby Expression UI in character customization. 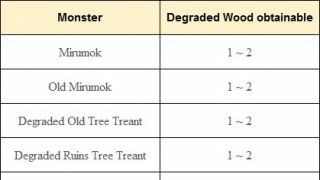 ◈ Fixed the issue where skill damage would be inflicted greater than intended to sea monsters. ◈ We are aware of the issue where Guild Houses can be entered without going through the door, regardless of the results of Guild House Auction. This is under a fix currently. 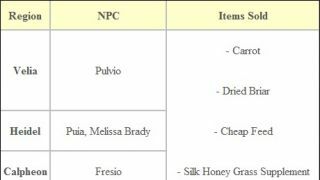 ◈ We are aware of the issue where a wrong territory icon would show up when renting a specific item from an NPC. This will be fixed in next maintenance.